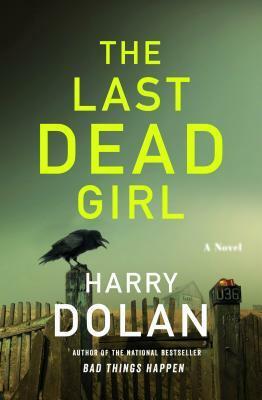 Aside from a few pages at the start, and a handful of pages at its close, I devoured “The Last Dead Girl” in one gulp, late into the night, unwilling to put the story down. That is simple testament in itself to Dolan’s talent in crafting a superb thriller. There is nothing here but seriousness, a gritty, raw, and at times disturbing look into criminal horrors. Some mysteries are part comic, filled with witty dialogue and over-the-top characters who cut like knives. Dolan has a talent for dialogue that keeps things taut and dark, foreboding. There is no extraneous fat in this book, no sentences other than that to serve the purpose of providing a solid thrill, telling a captivating tale. Filled with twists and turns, the story is built around the common mystery framework of deep personal secrets. The characters in “The Last Dead Girl” are all interconnected by their secrets and lies. Some of these secrets involve acts both immoral and illegal, some immoral but legal, and some moral but illegal. Yet regardless, these secrets have the power to destroy. Dolan relates these secrets to the reader in small steps, by stepping back and forth in time and through point of view. The majority of the book is written in first person, from the point of view of the protagonist, David, but this is interspersed with sections from the third person point of view of a murdered character, and of a killer. At times this provides revelations to the reader before they are made to the protagonist, thereby making the continuing mystery about how David will arrive at the knowledge himself before it is too late. I haven’t read any of the previous works by Dolan, so was unfamiliar with the character of David. Thankfully this is a prequel to the existing novels, so reading this first is easily feasible. I’m looking forward to checking out the others now.